Updated on Jan 9th 2019 with the full video. 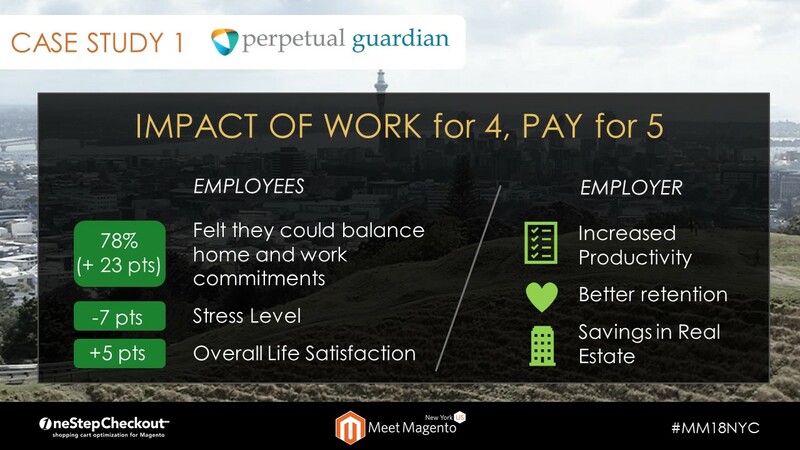 Why talk about work life balance? With the “always-on” nature of digital business, studies show that more than 40% of all workers face high stress in their jobs, negatively affecting their productivity, health, and family stability. As a mum for the last 10 years and a professional for 20 year mainly in large global corporations like Accenture, Johnson & Johnson, Clarins, eBay and PayPal, it’s a topic that is dear to my heart. From the moment I graduated from Business School and started a career, I have always struggled to figure out what was the right thing to do and what not to do. I read Lean In, by Sheryl Sandberg, I read Nice Girls Don’t Get The Corner Office by Lois P. Frankel, saw many female Managing Directors and still couldn’t find a model to follow. Then I started catching up with my closest girlfriends who studies with me at HEC Paris and realized how lucky I was to enjoy so much flexibility today at OneStepCheckout. And now, valuing flexibility over career and money is really becoming a trend! 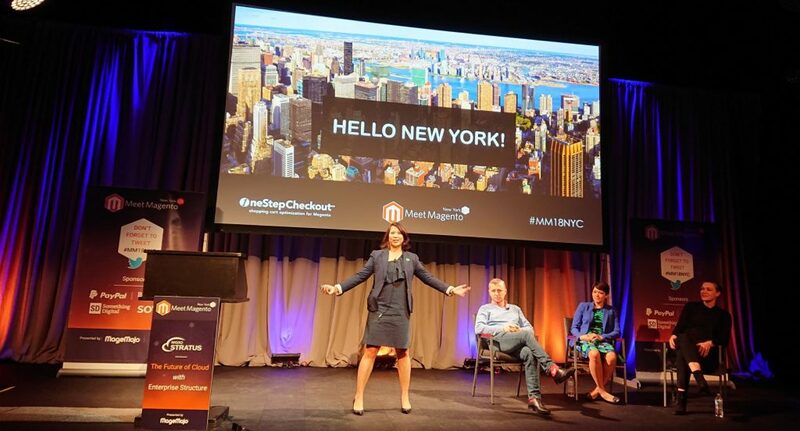 Then the opportunity to submit a paper for Meet Magento New York came up. It was certainly an event we should not miss, for many reasons. So here is below what I put together and I hope it resonates with you. Inspired by my personal experience, I went to look for research papers and case studies around employees need to both be able to spend time as work and fulfill their personal commitments. 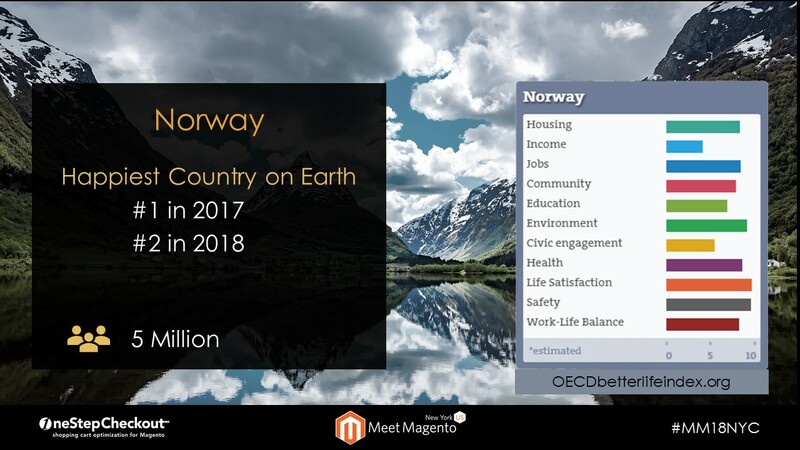 During my talk at Meet Magento Germany in July, I noticed that the audience responded much better to figures and stats than stories so with no further due, here is the full video of my talk. 9’55: Panel with tips and takeaways from Beth and Gentian Shero from Shero Agency based in New York and Carmen Bremen, freelancer at Neoshops based in Germany. 20 minutes fly really fast and didn’t allow to cover as much as I wanted. So as a follow up, here are more resources about Work Life Balance including studies and articles I used to show why implementing initiatives to improve your employee’s well being is beneficial for everyone, on all levels. Does the below looks familiar? Ever had an idea in the shower? Now you can have many showers a day….nah, but your brains get pumped with more oxygen so a stroll on the beach, a run, will have the same effect creating more light bulb moments! 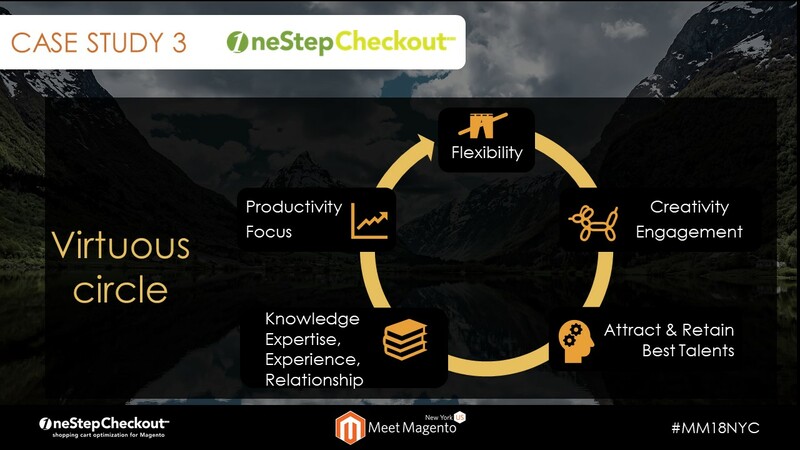 That’s why we can boast over 25,000 hours of development and support just on the area of Checkout for Magento by the same people since 2010. All those cases that we see first hand by talking to our customers stay, not in our system but also in our heads and heart. We nourish long term relationships with our agency partners, complementary extensions, Magento staff etc… some even become friends! 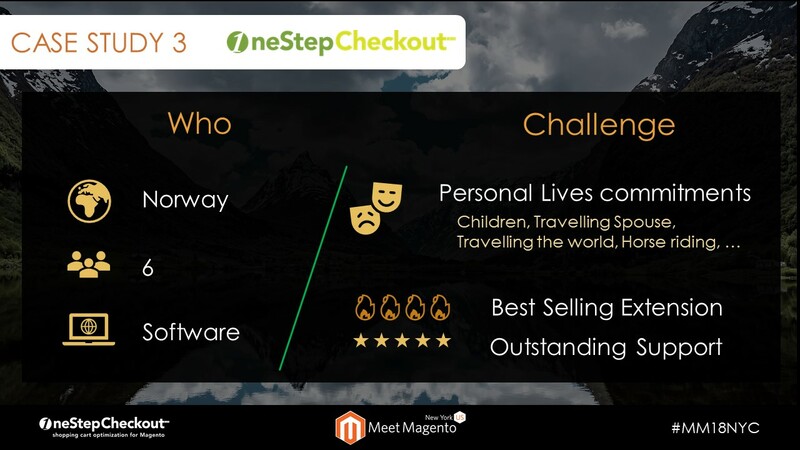 With our previous experience and our current knowledge of the Magento market we can make strategic choices that provides a competitive advantage and business growth. 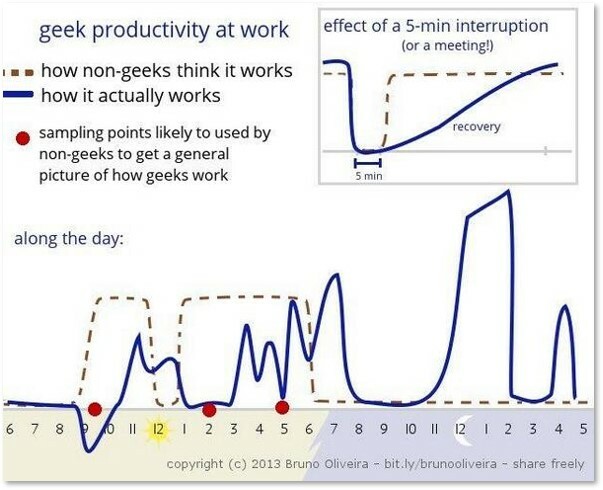 We use our creativity to do more work with the same hours. 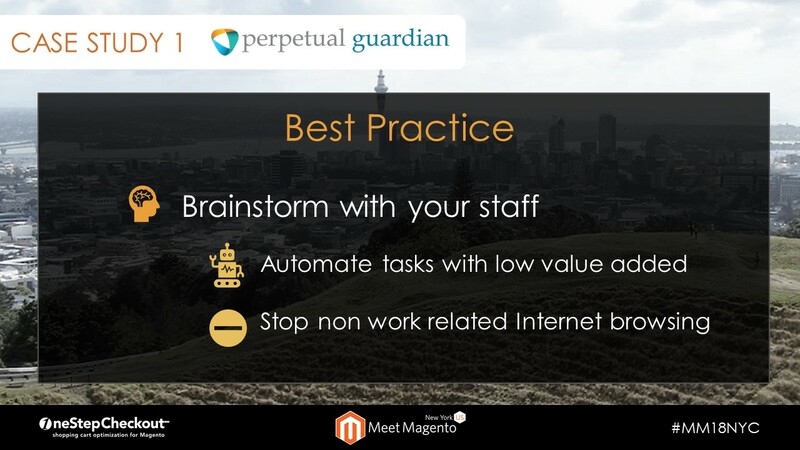 We make do with our own bootstrapped happy and flexible resources. 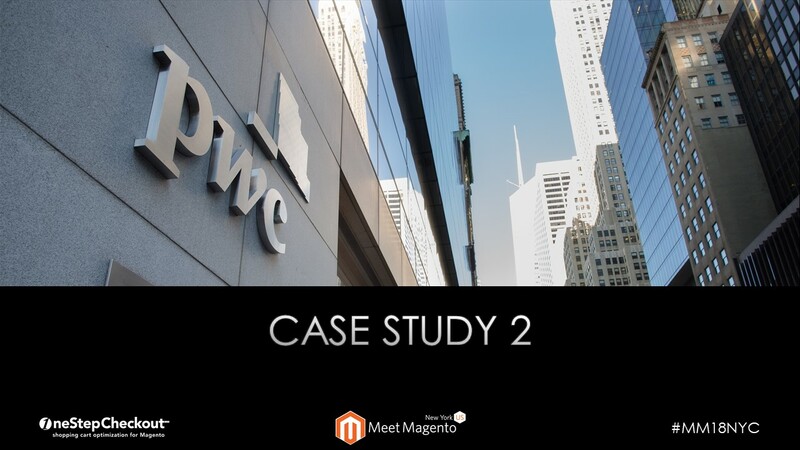 In our Panel we invited on purpose Beth and Gentian Shero who, together, run a Magento Agency based in New York. They shared how challenging it is when your work is also your life. 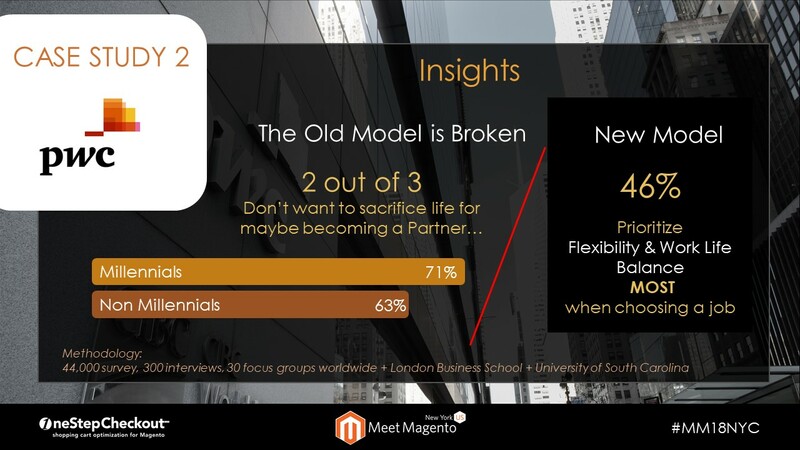 We know if resonates with a lot of other agencies, vendors and merchants in the Magento Community so here is a little gem I found about how the next generation of family business leaders are making their mark. 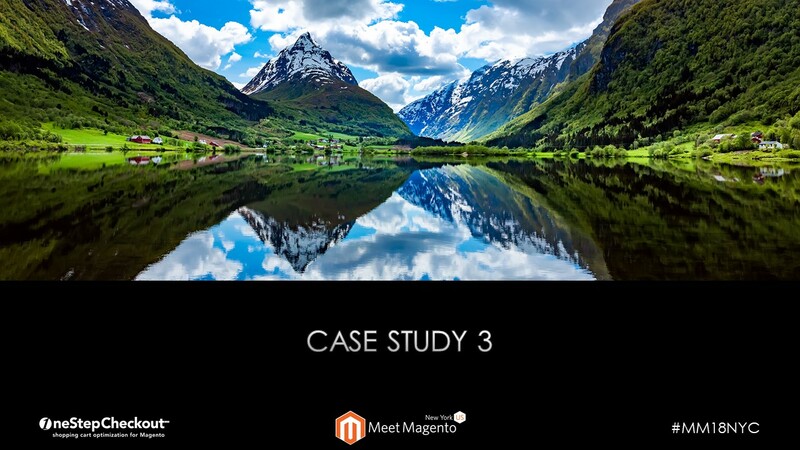 An example of that was presented at Meet Magento Germany 2018, with Foeger, a 65 year old family business going through digital transformation as the only way to increase sales. My talk didn’t allow to touch much on Mental Health. 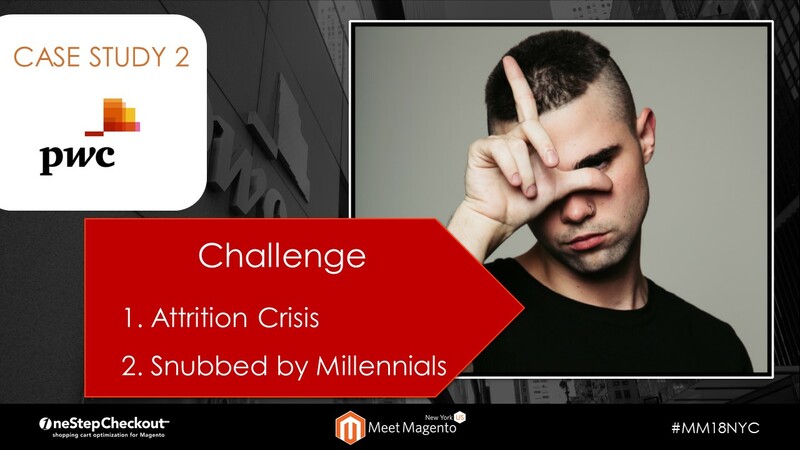 Good news, Sherrie Rohde, Community Manager at Magento is doing a lot of research on it and has a great talk about the topic. If you don’t catch her talk, go to magemh.com. 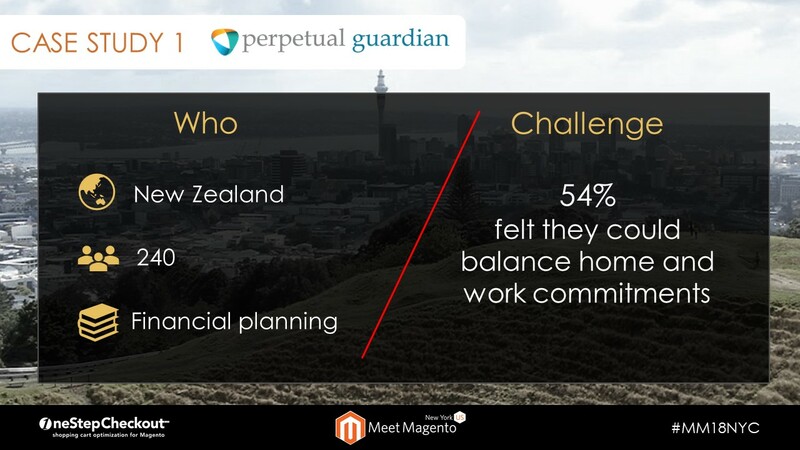 This is a brilliant initiative to help the Magento Community get help, inspiration, support and hope. One of my first inspiration around this topic is the story of Ariana Huffington, from the Huffington post and media guru who broke her jaw by collapsing on her desk out of exhaustion. Since then she has been advocating very strongly about the power of sleep, meditation, well-being through her platform thriveglobal.com. It includes articles, courses, apps, a community, styling tip, a foundation and much more.